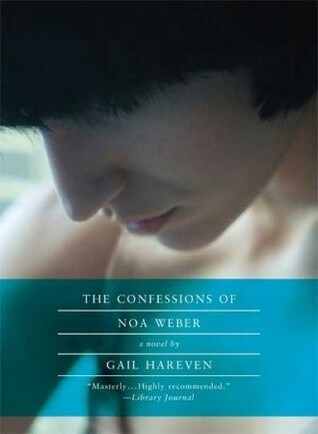 If ever a book to have two starkly different titles in two different languages, The Confessions of Noa Weber by Gail Hareven is a prime example of the new title improving on the old. 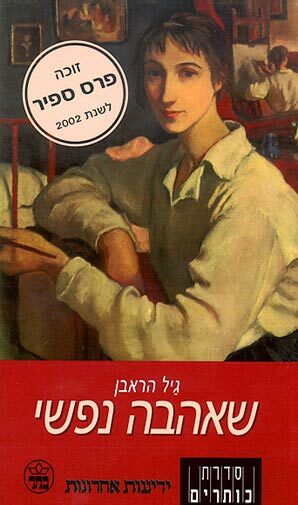 The book is technically titled My True Love (though a more accurate Hebrew translation would be My Heart's Desire: שאהבה נפשי), yet this somewhat sappy, melodramatic title hardly does justice to the often cynical, rather biting book within. Similarly, the original Israeli cover does not match the content of the book at all - combined, the two give off a very trite, tacky feel regarding a novel that is far from either. One of the reasons I like the English title a lot better is because of how easily it allows me to divide my thoughts on the book. Fact: I hated Noa Weber. I hated her attitude, I hated her personality, I hated her decisions, I hated her mistakes, I hated her political/social frame of mind, I hated her semi-wish-fulfillment internal fictional character and I seriously hated her constant self-justifications of her obnoxious behavior. And yet I seriously liked her confessions, and by extension the book overall. I'm really not sure why. I think my appreciation for the book can be found within Noa's in-story fictional stand-in, Nira Woolf. Noa describes Nira as a strong female character, but then mentions critics who tear Nira down as a fake feminist, essentially a man in a woman's body. From the first moment this critique is mentioned, it resonated with me strongly and I immediately agreed: Nira is a cliched "strong" woman, whose behavior really isn't any different from every male lawyer/detective in every legal thriller featuring a male lead except for the fact that she's a woman. This tiny bit of empathy with Noa's fictional critics hit me surprisingly hard once I realized that I was also judging Noa through this lens. For all her feminist framing, Noa's life revolves around a man: she readily admits this. Alek is as central to The Confessions of Noa Weber as Noa herself is. Everything Noa tries to deny about Alek or about her relationship with him starts to fall apart as she tells her story. Whenever Noa commented that "it's wasn't like this" or "it's not like that", I found myself thinking that it's actually exactly like that. She's a contradictory character, contrasted with her own internally contradictory character, Nira. I have to give Gail Hareven credit. Despite creating a character I couldn't stand, I wanted to keep reading about her. I wanted to know more about her life, even though there was nothing in it that I liked. Hareven writes Noa with a honest feel; I've seen some reviews refer to it as a memoir-style, but it's really not. Ultimately, the U.S. title got it spot-on - these are Noa's confessional ramblings and attempts at self-justification. Noa doesn't even try to whitewash her own history, but she contradicts herself at every turn. She claims not to regret anything she's ever done, but her tone says otherwise. She claims to be this great feminist, but she immediately submits to Alek's whims and requests. She even admits to shame about this, through both words and actions.